Net Wt. 45 g / 1.6 oz. 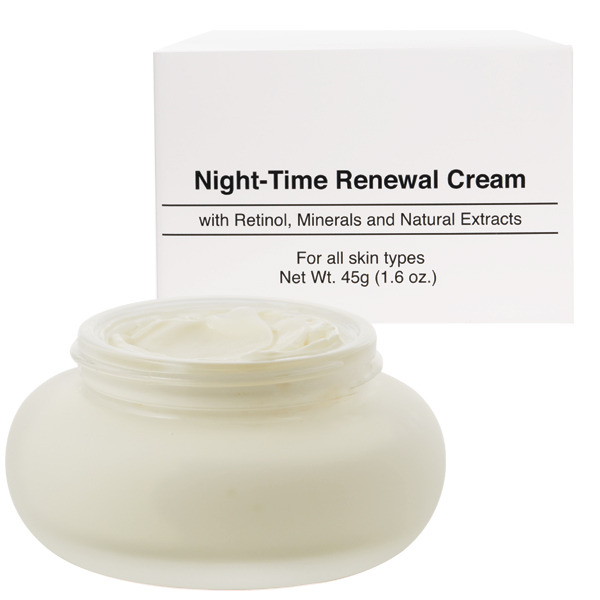 A rich cream blended with Retinol, minerals and natural plant extracts that work together overnight to moisturize and replenish your skin's vital nutrients. 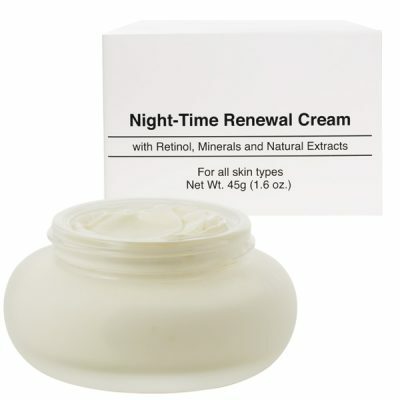 Retinol penetrates deep into the skin's surface working to diminish the appearance of fine lines & wrinkles. Ceramides are water trapping molecules that retain moisture and give skin a healthy texture. Mushroom and Algae Extract helps to firm, increase hydration, and promote cell turnover. 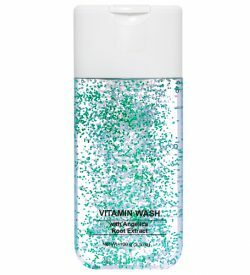 Water (Aqua), Ethylhexyl Isononanoate, Hydrolyzed Elastin, Octyldodecanol, Algae Extract, Stearic Acid, Cetyl Alcohol, Cetearyl Alcohol, Stearyl Alcohol, Ganoderma Lucidum (Mushroom) Stem Extract, Lentinus Edodes Extract, Petrolatum, Polyglyceryl-3 Laurate, Glyceryl Stearate, PEG-100 Stearate, Glycerin, Phenoxyethanol, Dimethicone, Jojoba Esters, Glycine Soja (Soybean) Seed Extract, Glycine Soja (Soybean) Oil, Propylene Glycol, Sorbitan Sesquioleate, Triethanolamine, Carbomer, Tocopheryl Acetate, Xanthan Gum, Carthamus Tinctorium (Safflower) Seed Oil, Daucus Carota Sativa (Carrot) Root Extract, Ceramide NP, Cellulose Gum, Acrylates/C10-30 Alkyl Acrylates Crosspolymer, Retinol, Tocopherol, Polyglyceryl-3 Diisostearate, Polyacrylamide, C13-14 Isoparaffin, Laureth-7, Saccharomyces/Silicon Ferment, Saccharomyces/Magnesium Ferment, Saccharomyces/Copper Ferment, Saccharomyces/Iron Ferment, Saccharomyces/Zinc Ferment, Ethylhexylglycerin, Tetrasodium EDTA, Fragrance (Parfum), Isononanoic Acid, BHT, Glycolic Acid, Polysorbate 20, Sorbitan Oleate, Chitisan, Titanium Dioxide (CI 77891).